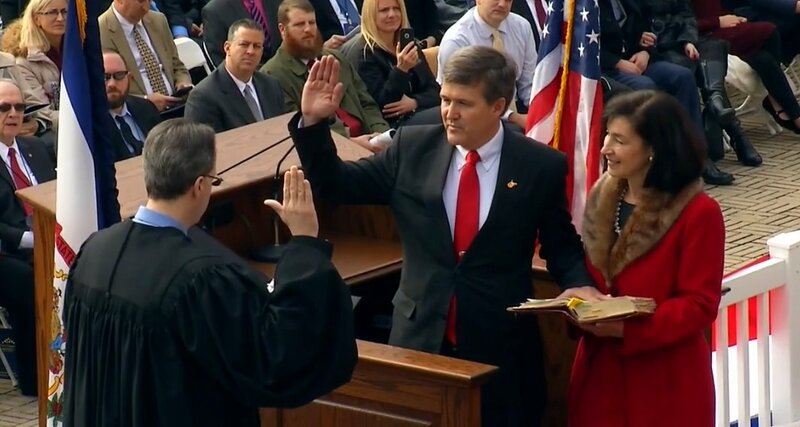 On November 8, 2016, Andrew McCoy "Mac" Warner was elected to become West Virginia’s 30th Secretary of State. Secretary Warner graduated from the United States Military Academy at West Point and West Virginia University's College of Law; he has two Master of Law Degrees, one in Military Law from The Army Judge Advocate General's School and one in International Law from the University of Virginia Law School. A decorated soldier, Secretary Warner served as the Chief of International Law for the United States Army Europe, was an instructor at The Army Judge Advocate General's School, and served on the Staff at the US Army War College. He has been both a Defense Attorney and a Chief Prosecutor. He rose to the rank of Lieutenant Colonel before his retirement after 23 years in the United States Army. After retirement, Secretary Warner was called upon to use his professional, legal and military expertise to run the Organizational Capacity Building Section of the world's largest Rule of Law Program in Afghanistan for the US Department of State. There, for five years he mentored the Afghan Supreme Court, Attorney General's office, the Ministry of Justice, and the Ministry of Women's Affairs. A sixth generation West Virginian who has spent his life promoting American ideals of democracy and freedom around the globe, Secretary Warner understands a vibrant, free market economy only occurs when clean, fair elections and a predictable court system under the Rule of Law have created a safe environment where investment can flourish. Secretary Warner and his wife of 34 years, Debbie Law Warner, raised their four children in Monongalia County where Debbie is a Realtor. Steven Warner is at Wharton Business School and is a former Airborne/Ranger/Sapper U.S. Army Corps of Engineers Captain, with a Bronze Star and Purple Heart from Afghanistan; Krista Warner Cook is a Physician Assistant, US Army Reserve Medical Service Corps Captain with duty at Joint Base Elmendorf-Richardson, Alaska; Captain Lisa Warner Miller earned an Army Commendation Medal during a combat tour in Afghanistan and is now an Airborne Adjutant General Corps officer with the 82d Airborne Division, FT Bragg, NC; and Lieutenant Scott Warner is a Paratrooper/Sapper with the U.S. Army Corps of Engineers, 173d Airborne Brigade, Vicenza, Italy.